You know that feeling when the plane touches the ground – the urge to leave it as soon as possible, especially after a long flight. The rush to get to the earth quickly often leads to forgotten items. Mostly, these items are little electronic gadgets, such as cell phones or smart phones, tablets, mp3 players, or books and toiletries. Sometimes people do tend to forget luggage separate from the suitcases, which is not in ordinary wrappings. If you realized that you forgot something right after you left the plane and you a still on the terminal, you have a really good chance to get it back right away. First you need to go back to the gate and contact the agents as soon as possible and if the plane has not been clean yet, they may assist you to find it. 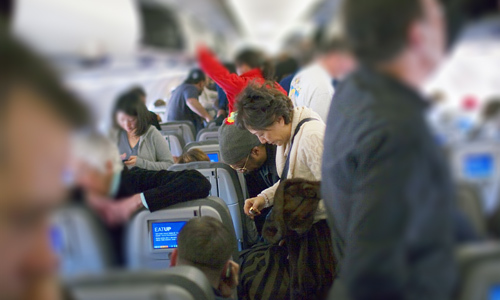 Be prepared with your seat number, so they could locate the item faster. If by the time you realize you have forgotten something, the plane has already be cleaned, you can try to contact the gate agents but most likely they will not be able to help you. 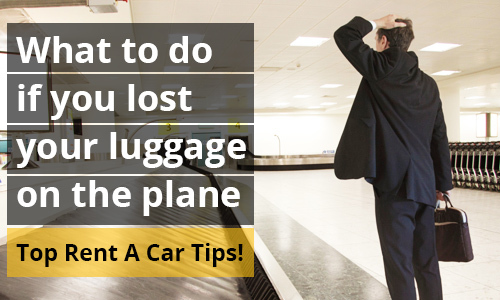 In this case, you should contact airline’s baggage claim office and ask for their help. If the item was turned in after the cleaning of the plane you will be able to retrieve it on the very moment. If not, you will need to fill up a report for this item. If the item was checked as a luggage and it has labels from the airline on it, this will make the whole process easier. In any other case you will have to leave your contact details and hope for the best. Some credit card companies have a policy to cover the cost of the lost item, if you keep and provide them with a receipt that proves you purchased it with the credit card. This works for a portable electronic equipment like smart phones, tablets and so on. In any event, it is always better to double check around your seat, just in case, so you will not have to go through all this trouble for missing belongings.